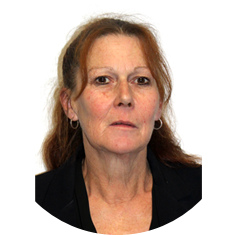 Kim has worked in the non-government ATOD sector for 29 years, bringing a wealth of knowledge to Directions broadly, and Arcadia House specifically. She has worked in the NSW and local ATOD sectors, including We Help Ourselves (WHOS). Kim has held numerous clinical and management roles with Karralika prior to joining Directions as Manager Arcadia House in 2012. To complement Kim’s extensive work experience, she holds qualifications in Alcohol & Other Drugs and an Associate Certificate of Applied Management. Kim has great empathy for the many challenges that people with alcohol and other drug issues face and her career has been dedicated to helping those people live the best lives they possibly can. She is a determined and strong advocate for the rights of all people to be treated with respect, dignity and compassion. She is known for her practice, dedication and leadership in the therapeutic community movement and was recognised with an Award for Excellence at the 2010 Alcohol Tobacco and Other Drug Association ACT awards. Away from Arcadia, Kim enjoys spending time with her family, travel and creating stunning gingerbread houses at Christmas.